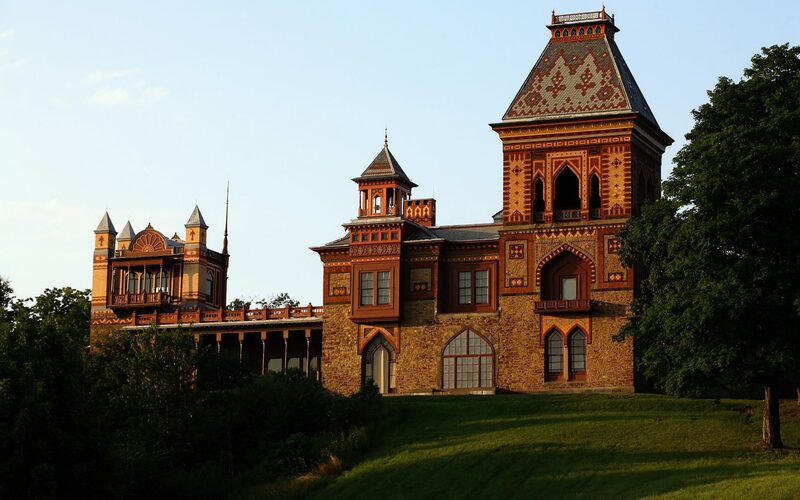 The south facade of Olana, the historic estate of Hudson River School painter Frederic Church, located in Hudson, NY. 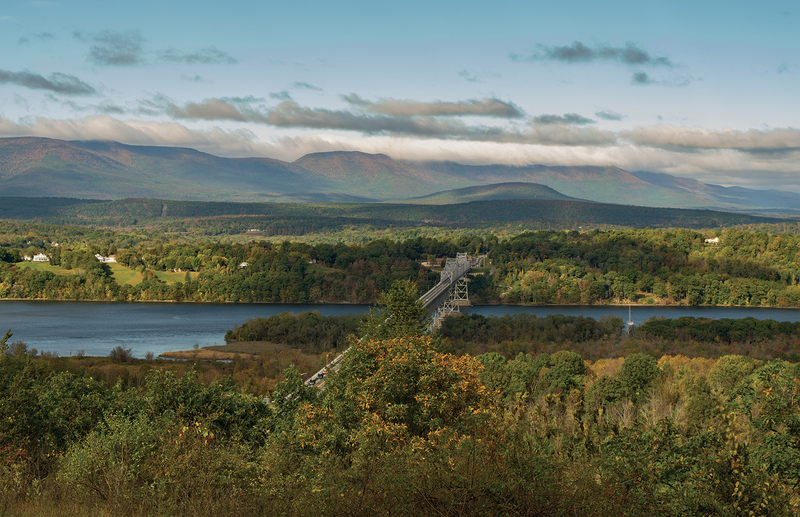 Frederic Edwin Church is remembered as a painter of sublime landscapes, but a new book reveals that the artist had an eye for architecture as well. 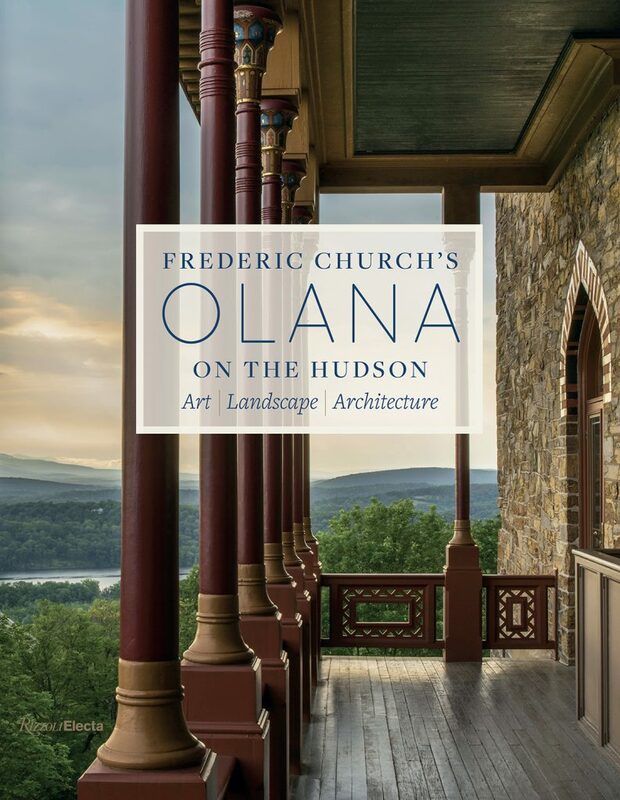 Frederic Church’s Olana on the Hudson: Art, Landscape, Architecture (Rizzoli, $60) showcases the artist’s home, which overlooks the Catskill Mountains from its hilltop perch in Hudson, New York. 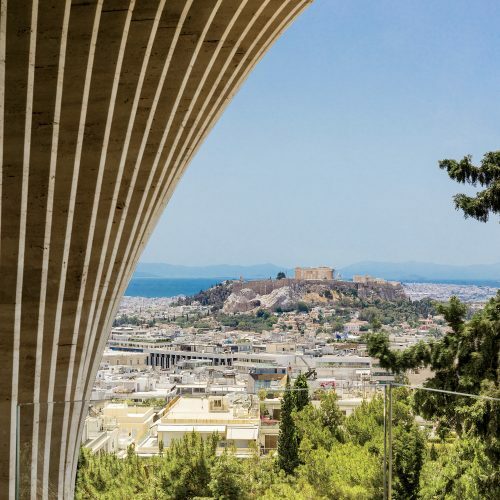 What’s more, it delves into the details of Church’s design process, revealing the artist’s intimate involvement in the unique castle’s construction. 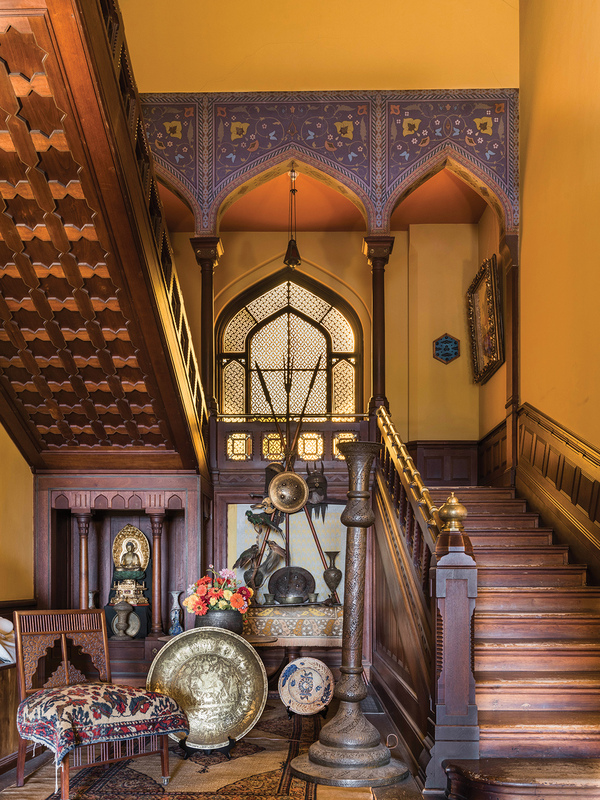 Edited by Julia B. Rosenbaum and Karen Zukowski with photographs by Larry Lederman, the book tours the historic house and its many resplendent rooms, which are adorned in beautiful furnishings, incredible art, and the many objects that Church collected during his global expeditions. 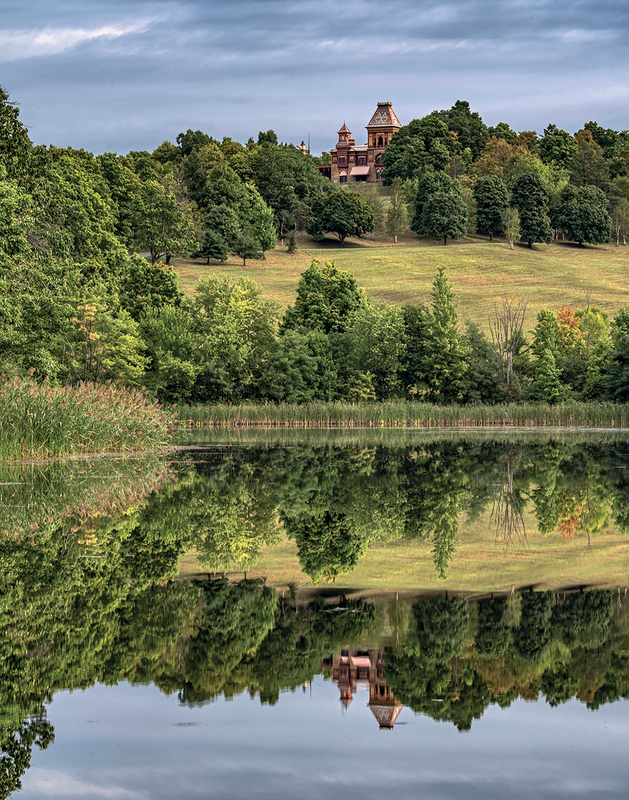 Church’s estate served as a window into other worlds and cultures. 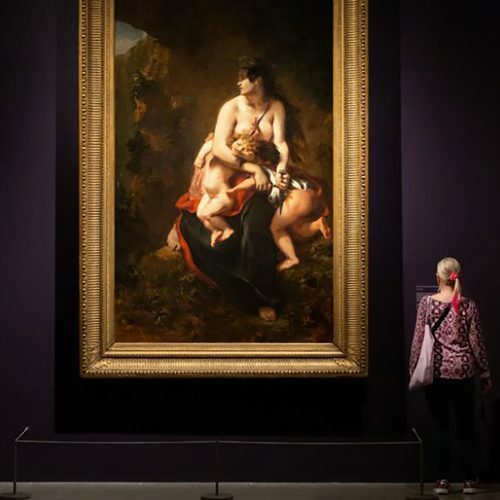 Drawn to nature from a young age, he sketched prolifically during his extensive travels and enraptured viewers back home with his depictions of other worlds. 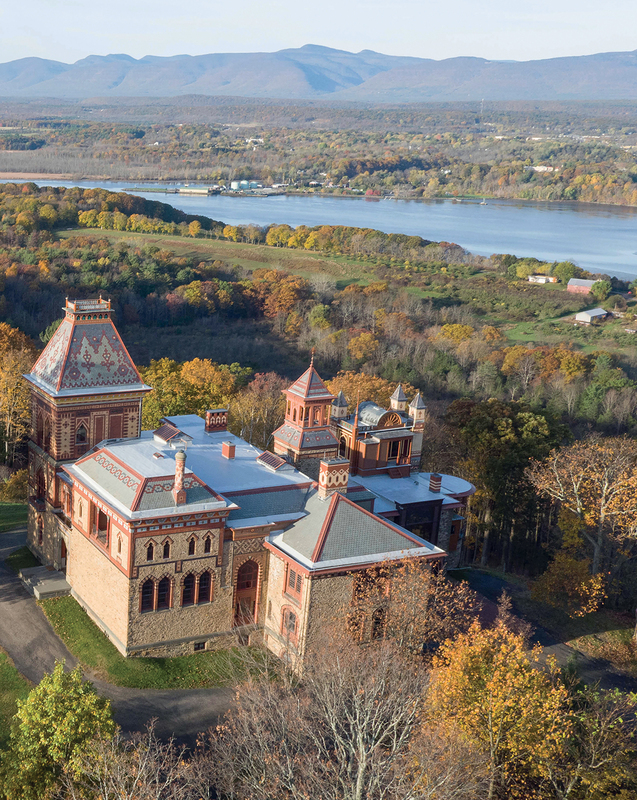 Today’s artists continue to find inspiration in this monumental estate, and it’s frequently used as an exhibition space or for artist residencies. 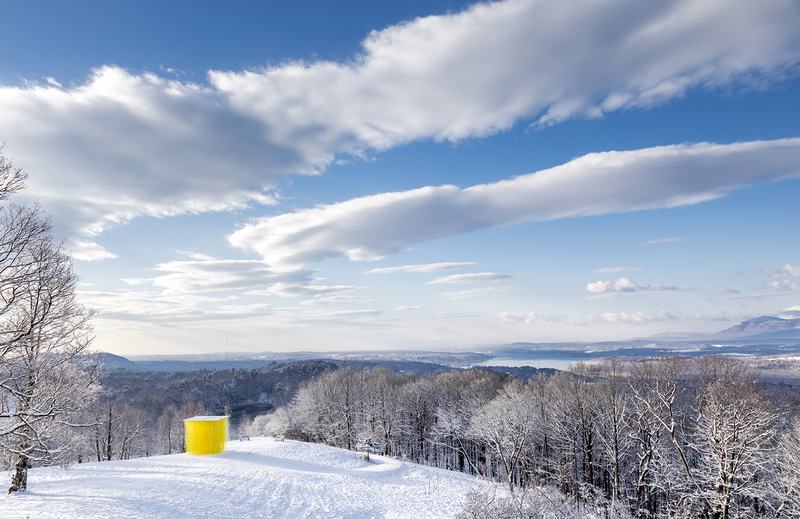 Last year, landscapes by artist Teresita Fernandez were installed as part of an exhibition within the mansion entitled “Overlook,” and a 2015 show called “River Crossings” featured work by artists like Chuck Close and Martin Puryear. 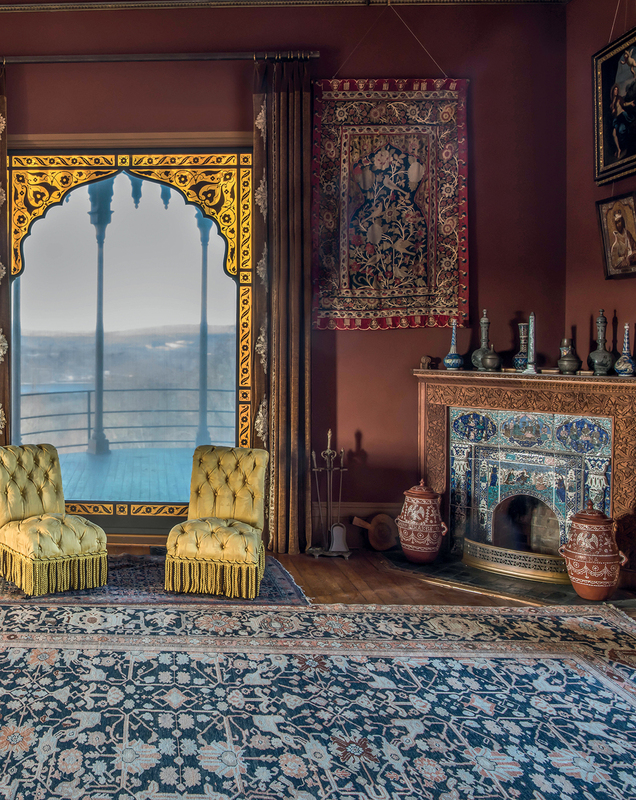 See below for a closer look inside the storied estate.